New Delhi [India], Mar 16 (ANI): Mary Kom is going to skip the Asian Boxing Championships to be held in Bangkok, Thailand from April 16 to 27. The six-time World Championship has decided to skip the event in order to focus on th4e World Championships to be held later in the year. Kuwait City [Kuwait], Nov 09 (ANI): India's teenage shooting sensation Saurabh Chaudhary and Manu Bhaker clinched the gold medal at the 10m Air Pistol mixed team event on the last day of the Asian Airgun Championships in Kuwait, on Friday. Doha [Qatar], Aug 01 (ANI): The 23rd Asian Athletics Championships will be held in Qatar's capital city of Doha, from April 19 to April 24, 2019. 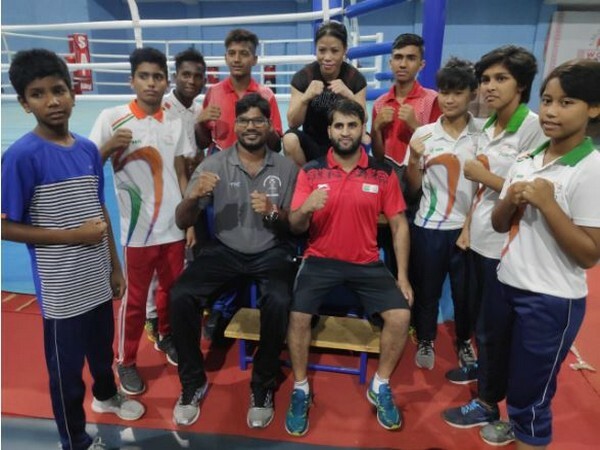 Sangrur (Punjab) [India], July 30 (ANI): Hakam Bhattal, an Asian Games gold medallist and the recipient of the prestigious Dhyan Chand Award, is currently battling against kidney and liver ailments and has not received any attention from the government, let alone support. New Delhi [India], June 30 (ANI): Former world number one and Commonwealth Games gold-medallist Heena Sidhu is likely to meet National Rifle Association of India (NRAI) president Raninder Singh on Saturday. Gifu [Japan], June 10 (ANI): Middle distance runner Anu Kumar help India bag third gold medal in the men's 800m on the third day of the 2018 Junior Asian Athletics Championships here on Saturday. Gifu [Japan], Jun 7 (ANI): India got their campaign at the 2018 Asian Junior Athletics Championships off to a strong start winning four medals a gold, a silver and two bronze on the first day of the four-day event in Gifu, Japan on Thursday. Colombo [Sri Lanka] May 7 (ANI): Junior athletes added nine more gold medals to India's tally before the curtains came down at the 3rd South Asian Junior Athletics Championships (SAJAC) at Sugathadasa Stadium in Colombo on Sunday. Bijapur (Chhattisgarh) [India], April 13 (ANI): Talent has the ability to overcome all the odds-prove these two teens from Gangaloor, a small village about 25km from Bijapur town. New Delhi [India], March 24 (ANI): Indian shooter Manu Bhaker bagged her second World Cup gold medal inside a month, winning the junior women's 10m air pistol gold at the ongoing International Shooting Sport Federation (ISSF) Junior World Cup Rifle/Pistol/Shotgun in Sydney, Australia.